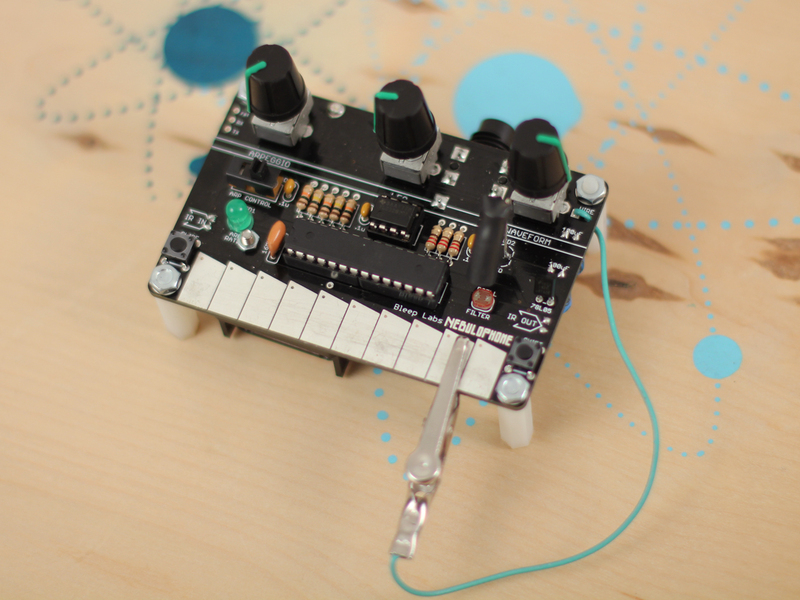 Arduino based synth with stylus keyboard, selectable waveforms, arpeggios, and an analog filter. 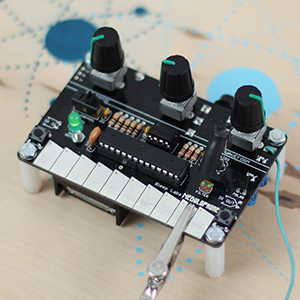 The Nebulophone is an Arduino based synth with a stylus keyboard. 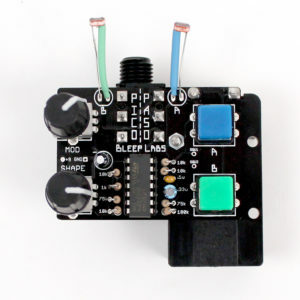 – Light controlled analog low-pass filter with five adjustable LFO LED modes. – Perfect tuning across six octaves. – Adjustable temperament and key. – Six arpeggio modes with adjustable rate. 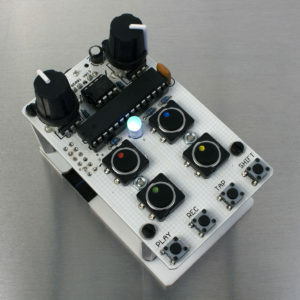 – Programmable sequencer to easily make your own arpeggios right on the Nebulophone. – Infrared communications allows multiple Nebulophones to easily communicate. 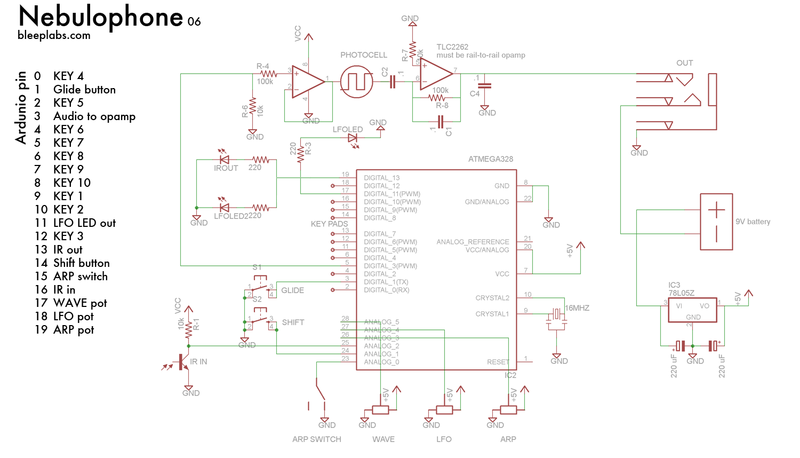 More about IR-sync. 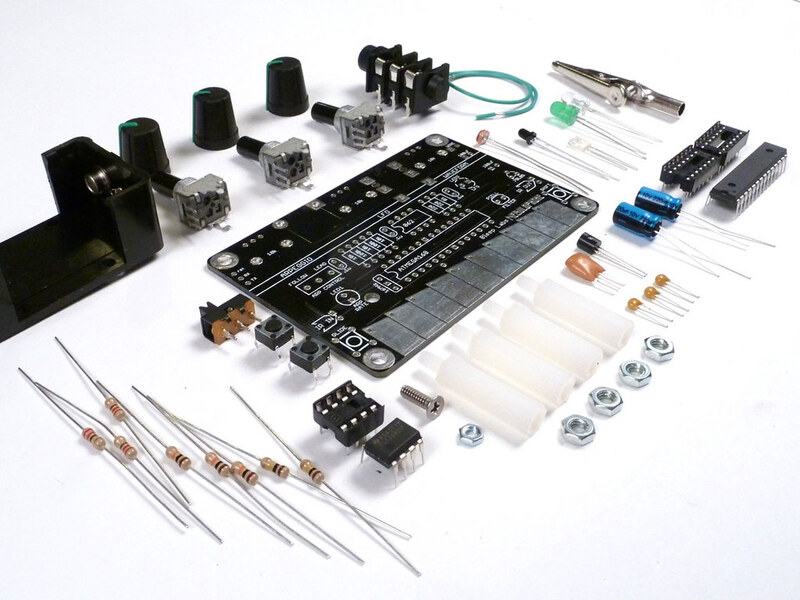 This is a beginner kit and does not require an Arduino programmer board to operate. 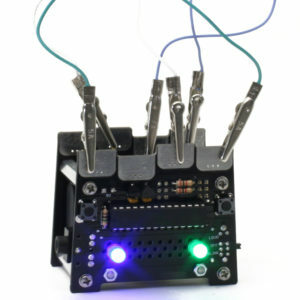 If you have never soldered before, check out our soldereing 101 page. 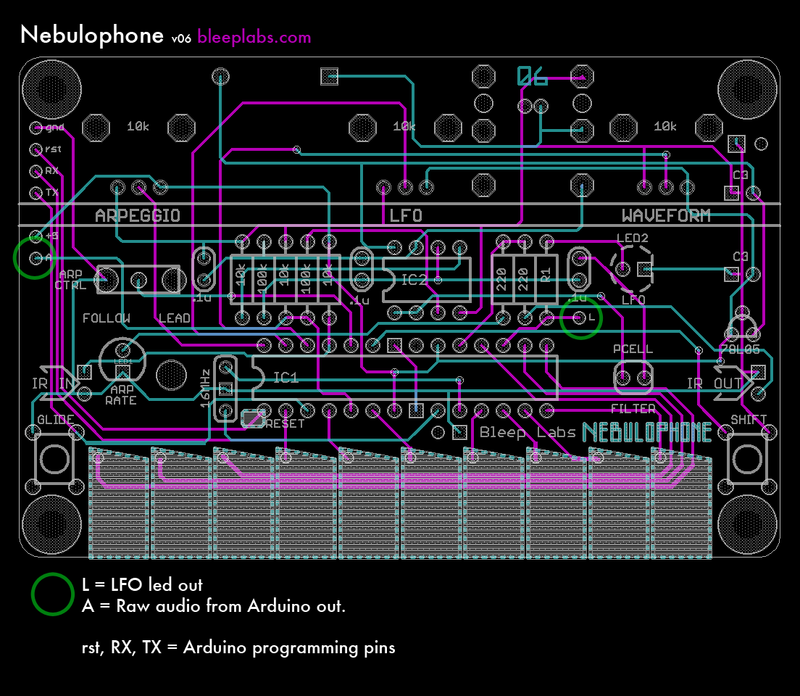 The Nebulophone has a 1/4″ mono output designed to be plugged it into any mixer, amp, USB interface, etc. Headphones will work but are not recommended. Are the keys touch sensitive? The alligator clip must be used to trigger the keys. You can also wire the key pads to switches as some makers have done. Does my unit have the upgrade? If you bought it after mid-2011 then yes!